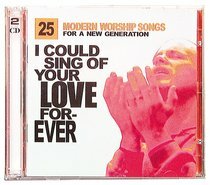 This awesome double compilation album is a centrepiece for the modern worship movement sweeping the world. It features Sonic Flood, Delirious, Matt Redman and more! About "I Could Sing of Your Love Forever Double CD"